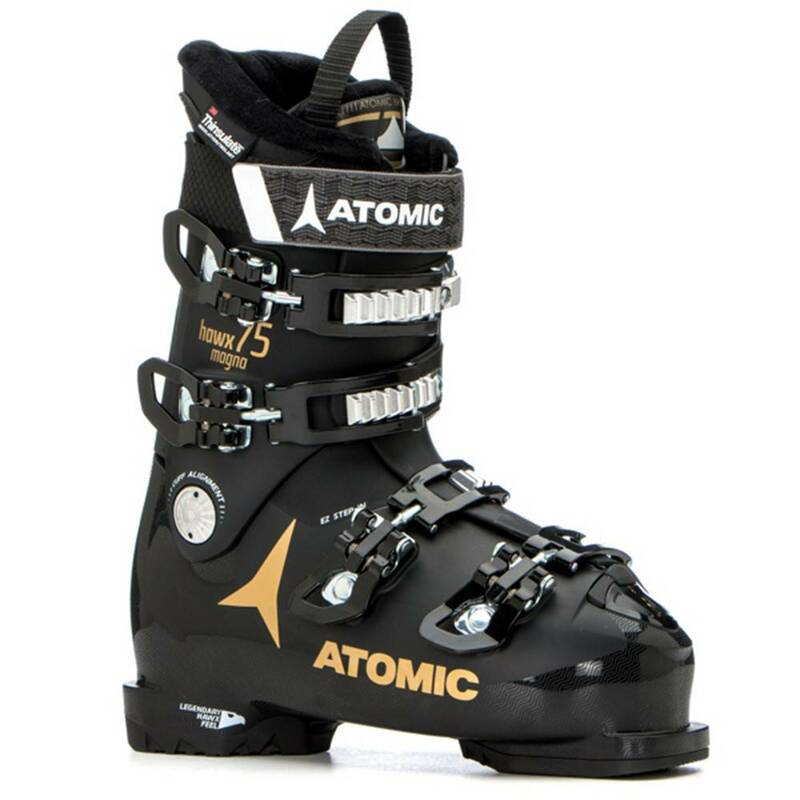 The Women's Hawx Magna 75 from Atomic is an excellent option for the true beginner to solid intermediate skier who has a mid-wide forefoot and medium calf volume. Atomic's Bronze Liner has a women's specific shape to keep your heel locked down and your forefoot comfortable as you skid and slide your way down the mountain. A Women's Specific Cuff Shape is very accommodating to the shorter, fuller female leg shape. To round out this great value, a 35mm Velcro Strap keeps a snug wrap across your shin and enhances rebound with each turn.